Making financial statements to create a formal record of the financial activities of your business or for household budgetary tasks can be easily done using Microsoft Excel or other professional accounting applications. However, when it comes to presenting these statements in the form of presentation slides, even the expert accountants may feel out of luck! One of the main reasons for the difficulty in making presentations for financial statements is due to the various details that need to be cramped into a single slide. Furthermore, making such a slide easy to grasp or attention grabbing is even more difficult. This is why we have compiled a list of some attractive financial statement templates to help you present financial statements like a Balance Sheet, Income Statement or Cash Flow Statement, with the help of convenient PowerPoint slides. 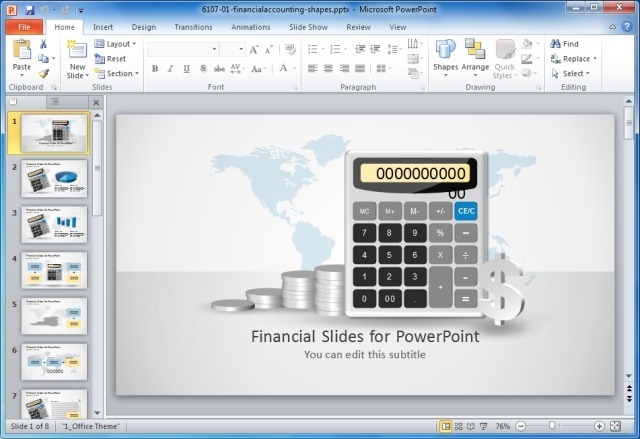 If you need a comprehensive finance presentation template with slides containing attractive, editable charts, clipart and suitable layouts for making finance related presentations, then this is just the template you need. 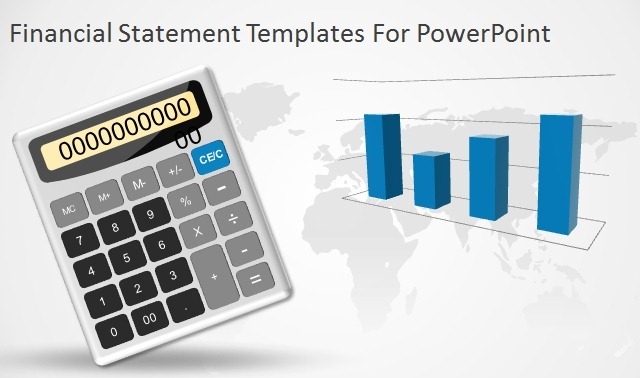 You can not only use this template for making presentation slides with financial statements but also create other types of business and finance related presentations with the given sample slides. 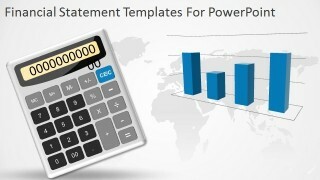 As the name suggests, this is the perfect template for making an income statement presentation. You can present revenue, expenses and profit & loss reports with the help of clear and attention grabbing slides, which have been designed by expert professionals to deliver a positive impact on your audience. 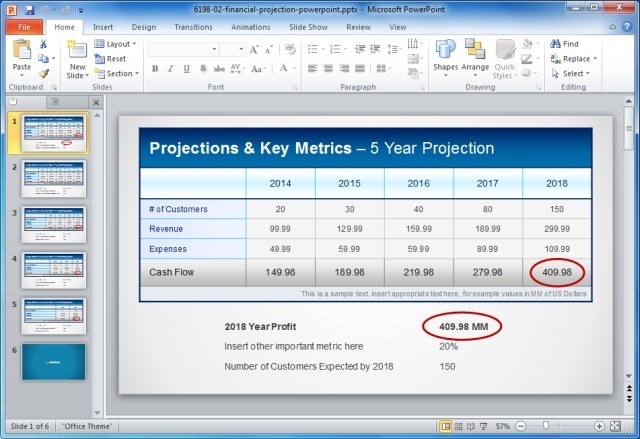 The color combination and overall slide design is quite impressively laid out, with added placeholders for creating and displaying income statements in PowerPoint. Suitable for making balance sheets, this template offers a wide range of attractive slide designs for making balance sheets, with the help of basic slide designs or eye-catching clipart. 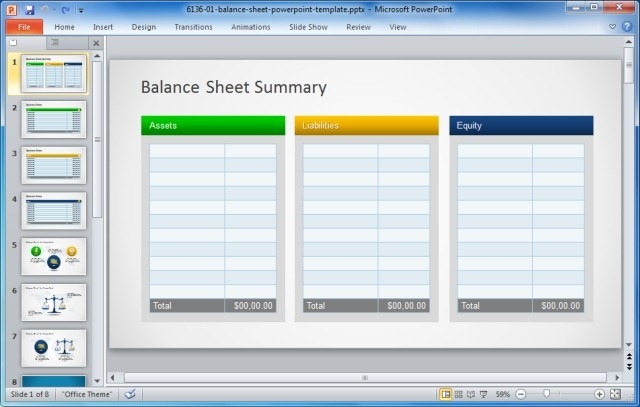 Whether you are looking for something simple for displaying a balance sheet in PowerPoint or need some nice clipart and graphics to prove your point before an audience, this template can help you get the job done. This is a more elaborate template for making different types of income statements, with key metrics. 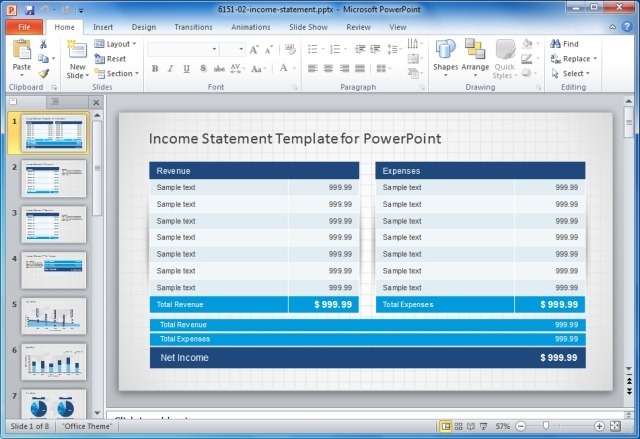 While the template has been designed with sample slides labeled for making a cash flow statement, you can easily edit these slides to reflect a different type of financial statement, such as an income statement or balance sheet. Tags: Analysis Templates, Business Plan Template, Business PowerPoint Templates, Business Presentations, Finance, Funnel Analysis PowerPoint Template, Poster Presentation Template, Templates. I am in an Accounting 203 class in college. I am trying to find examples of how to show startup (not yet open for business) data on a PowerPoint.